Imagine if you could own part of a bank. Imagine if that bank kept its deposits in a highly liquid form. Imagine no more: Mt Pelerin is here. It’s only at the very end of our ninety-minute interview that Arnaud asks if he has explained the genesis of the name of his bank. No, I tell him. My head is hurting a bit and I feel as though I need to go and lie down in a dark room for a number of hours. It’s not that the conversation has been tough, it has been unrelenting, or rather Arnaud’s spoken progression from childhood to starting a bank is so relentless in its trajectory that it would be impossible for him to do or be anything or anyone else at this time. This question is the easiest part of the conversation. The Mont Pelerin Society’s (MPS) name was taken from a Swiss mountain overlooking Lake Geneva. It is an international classical liberal organization composed of economists, philosophers, historians, intellectuals and business leaders. [ The members see the MPS as an effort to interpret, in modern terms, the fundamental principles of economic society as expressed by classical Western economists, political scientists, and philosophers. Its founders included Friedrich Hayek, Frank Knight, Karl Popper, Ludwig von Mises, George Stigler and Milton Friedman. The society advocates freedom of expression, free market economic policies and the political values of an open society. Go look it up on Wikipedia, from where I lifted this explanation. The first meeting was held in April 1947 at Mont Pelerin after World War II, when the think tank wanted to put control back in the hands of the people and away from the state. This think tank provided Arnaud with the eponymous naming inspiration for his banking project, ie Mt Pelerin. That makes sense, but to explain how, I must start at the beginning. For everything of portent must have a beginning, even and perhaps especially, a bank must have a beginning. However, I am not attempting to emulate the Irish writer Lawrence Sterne where he only reaches the hero’s birth in volume three of his nine-volume opus (there is much to describe in these voluminous and bawdy comic novels) and will quickly traverse to our own hero’s coming of age. Seventeen years of age and Arnaud is now settled in Switzerland where he attended the Ecole Polytechnique Fédérale de Lausanne for both his primary degree in engineering and a masters in engineering and communications. From there he secured his first work experience with the investment bank UBS in Switzerland. He then worked as a commodities trader during one of the most chaotic and lucrative times of the financial crisis in 2008. He was in control of a huge portfolio, yet he was constantly questioning the nature of money, how interest rates impact on money and why is inflation considered a normal occurrence. He turned to the theory of economics and educated me on the three dominant variants, which I shall pass onto you in shorthand. You may skip the next paragraph if you are a keen student of economics, or enjoy a short explanation of each way of thinking if not. Keynesian economics favours a centralised system with a central bank controlling money. Monetarians, or Chicago Boys, prefer a middle ground. Led by Milton Freeman (also of Mont Pelerin fame) they are against centralised decision making for money supplies and control, but not as extreme a libertarian as the Austrianists who favoured a totally decentralised view of the world with no central planner. Beginning his career in 2008 as a commodity trader, Arnaud experienced the boom in the flight of money to the hard stuff, as he calls it: food, energy, and petroleum. “Things that humanity needs in the financial crisis jumped in value by three, five, and even seven times. Wheat, cotton, and petroleum climbed the opposite and upward curve in value to everything financial. 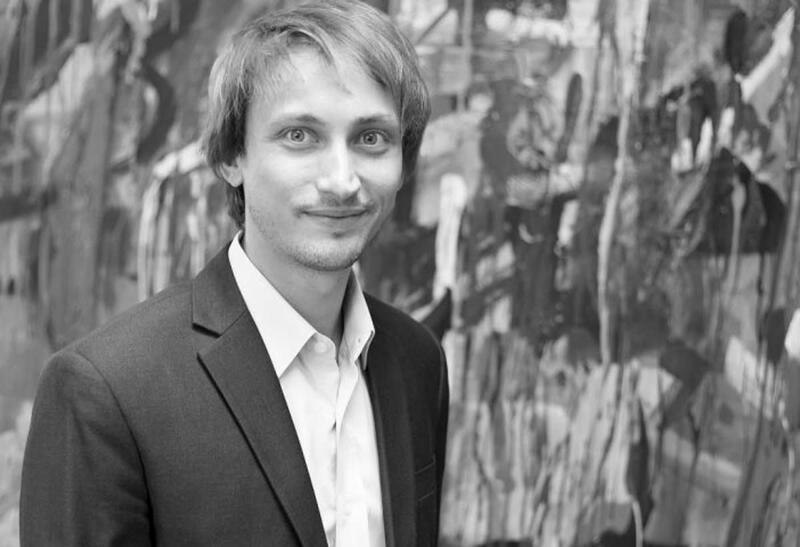 Despite working in the commodity marketplace, Arnaud has a special fondness for FX. At this stage, the Swiss Franc started off weak, at 1.55 to the Euro, but began to climb rapidly. Soon it reached a much stronger 1.4 to the Euro. Horrified at this innate and fundamentally flawed trading viewpoint, Arnaud wrote to the CEO and head of FX. He pointed out that since the EU was a conglomerate of multiple countries, some with real difficulties (he cited Greece at this point), and all labouring with a single currency that was not used outside the EU, the reverting of the Euro was not a given. Arnaud compares the Euro to the US Dollar, and here find another financial lesson. “Post the Bretton Woods agreement the dollar assumed a dominant global position. Everything could be and frequently was quoted against the dollar. The dollar was essentially treated as the new gold. This letter resulted in Arnaud being promoted to head of FX for RWE. Here Arnaud gives me a civics lesson on Swiss governance. This lesson is prefaced by the law the EU brought in three years ago which forbids bailouts as witnessed during the crash (trust me, I’m Irish, I know all about that) but instead allows bail-ins. What is insidious about this law is that governments are allowed to raid their citizens’ deposit accounts. In fact, this is exactly what happened in Cyprus in 2013. Arnaud knew that now was the time to do something. “I wanted to create a new form of bank.” Just as Jonathan Nelson felt the drive to change the way in which venture capital funds are operated. There are three pillars to the Mt Pelerin bank project. Then, in a bold move, Arnaud is seeking to tokenise the entire bank’s balance sheet. “We will be entirely transparent so anyone can view the balance sheet. The customers will be anonymous but the value will be clear. “How this works is that we look at each transaction which is essentially a contract between two parties. A mortgage, for example, is a contract between a homeowner and a bank, with a built-in yield. Banks find it hard to move these assets – there are issues in liquidity which gave rise to the packaged subprime loans of the crash (or today the sale of underperforming Irish loans to vulture funds). But when we take this contract and convert it into a smart contract with an ETH address for yields (or repayments) this is essentially a liquid asset.